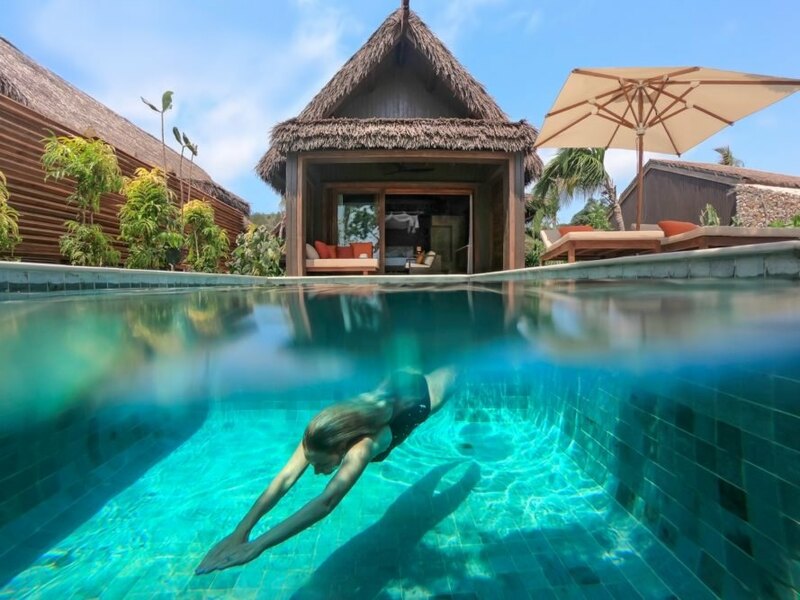 The resort is powered entirely with solar energy. 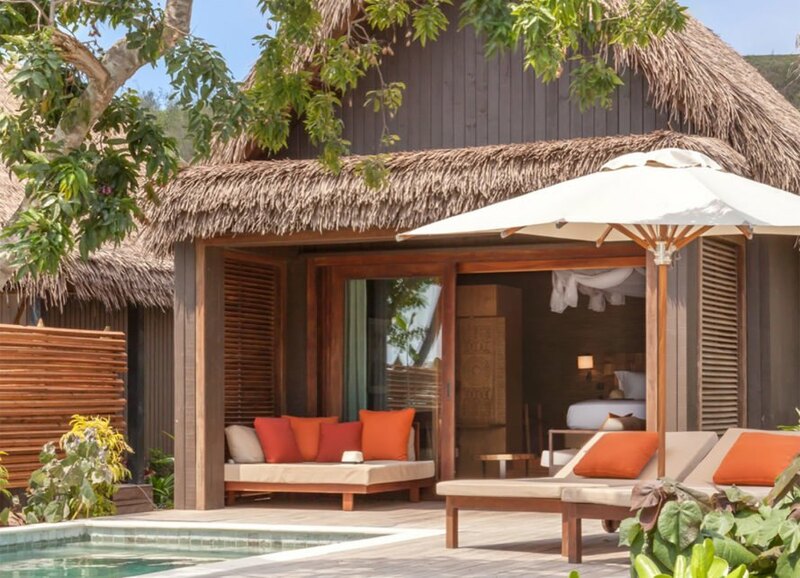 The villa includes a pool and lounge chairs. Fijian tapestries are integrated into the interiors. 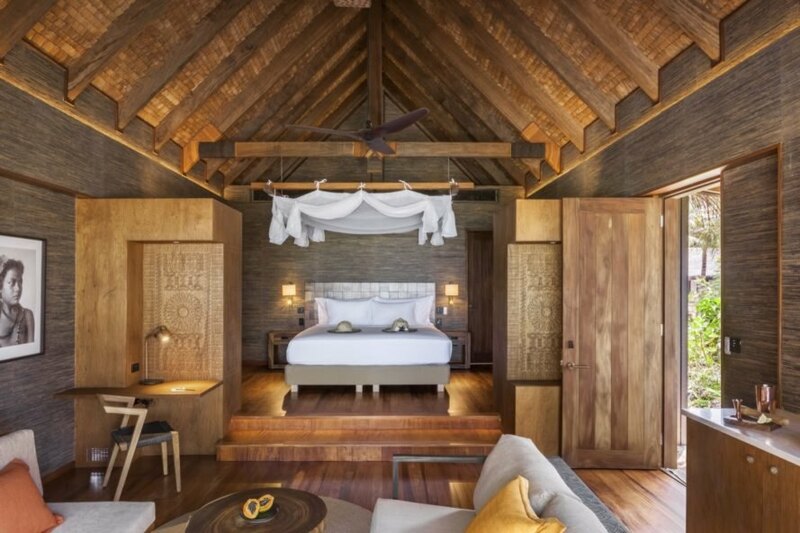 The villa includes mahogany and rain tree furnishings. 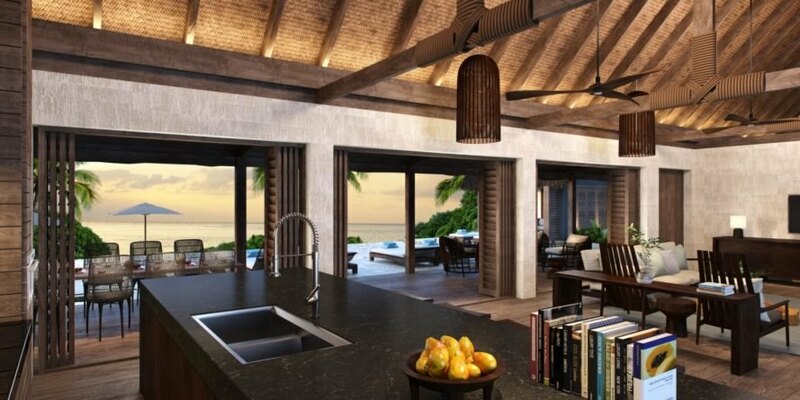 Space Studio also designed the interiors of the private residences. 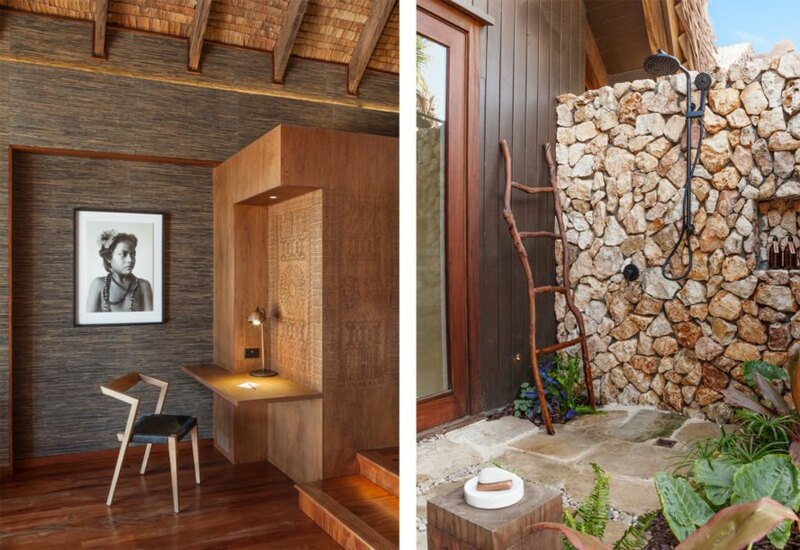 The villa features a cozy reading desk and a serene outdoor shower space.